GamCare currently operates the toll-free National Gambling Helpline and its online equivalent NetLine. It also offers a face to face counselling which is free for anybody who is experiencing challenges through their gambling or through a family member’s gambling. If you are experiencing problems with your gambling, GamCare is the place to call first. For seven days a week specialist support is always at the other end of the line. The GamCare helpline is fully staffed with advisers who are highly trained and skilled. GamCare has deployed the latest technology in the services it offers, the advisers can now take chat through a very secure feature and through the telephone, all very confidential from 8am daily to midnight, all days of the week. Face to face counselling has been made possible to meet sustained support which is needed by clients and the family members who need assistance. In regard to the development of best practice and service design which is innovative, the GamCare programme of treatment for problem gambling is top-notch. Through the network of partners, efficient and high quality service is offered by their counselling team that is spread all over Great Britain. In order to reinforce player protection and social responsibility, GamCare sees to the provision of training and the necessary materials needed to achieve this. The remote and non-remote/land based stand a chance of being awarded with a certification from GamCare on event of successful implementation of the player protection policy and the practice. 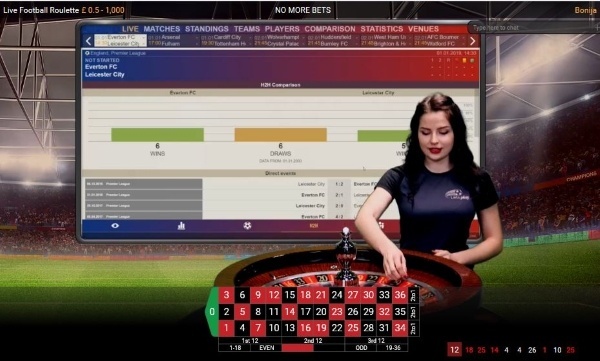 The Interaction Training programme recently developed by GamCare has given professionals in customer service the ability to detect problem gambling behaviour and provide the necessary advice to gambling managers who are responsible so that they can initiate an interaction with the players which will see a positive outcome achieved. To publicise the GamCare website and the helpline number, all gaming machines countrywide have GameCare posters and stickers. In order to create awareness and educate the public on the risks of gambling, GamCare continually endeavours to implement new strategies. Young people experiencing gambling problems are offered direct support via youth websites and community youth education Projects. In 2012, GameCare launched the BigDeal website (www.bigdeal.org.uk) in an effort to provide support and advice to young people about the risks involved in gambling. The site is purposely for young people from ages 12-18. This site is a resource necessary in helping them make right decisions and to find out more about gambling. GamCare has collaborated with ARA (Addiction Recovery Agency) to provide community education which was the first of its kind in Bristol. The target areas are colleges and schools in the area. The project aims to provide awareness in gambling, information, advice and treatment through its workshops. You can reach GamCare via their helpline – (0808 8020 133) or through NetLine which is its internet equivalent. This is possible for all days of the week starting at 8am up to midnight.